The 85 foot long steel schooner Liana’s Ransom became disabled off Gloucester, Massachusetts. The Liana’s Ransom had departed from Yarmouth, Nova Scotia after being laid up for winter and proceeded south on a shakedown cruise. The schooner encountered strong winds and 10 foot seas. The vessel suffered engine failure and lost power after its generator broke down. The vessels sails tore in the strong wind and one of its masts collapsed. The tall ship sent out a distress call with two Coast Guard vessels responding. The 9 crew from Liana’s Ransom had to jump from the schooner onto the Coast Guard response boat. One crewman from the schooner was injured in the process. The schooner was taken under tow to Gloucester where it will undergo repairs. 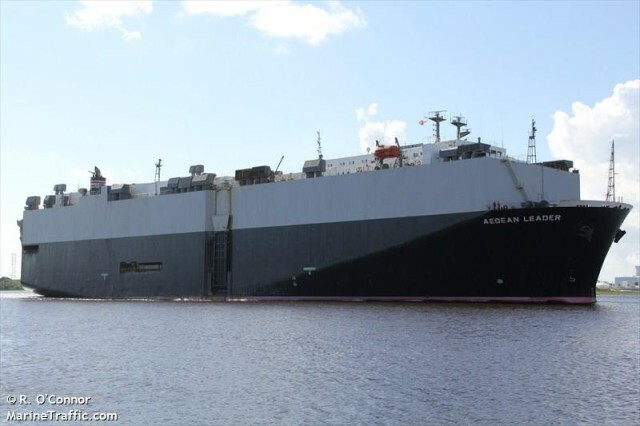 The 180 meter long, 13157 dwt car carrier Aegean Leader became disabled in the Pacific Ocean. The Aegean Leader had departed from Toyohashi, Japan en route to Balboa, Panama when it suffered engine failure. The vessel went adrift and was last reported between Japan and Midway Islands. No further details reported. 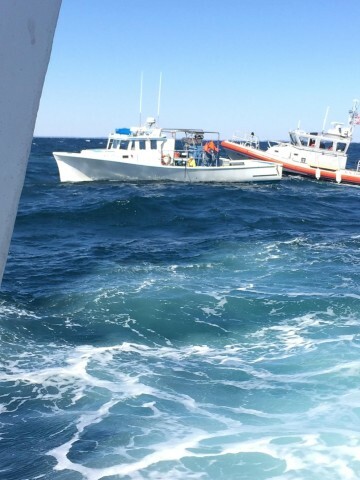 On March 23, the 38 foot long fishing vessel More Misery became disabled near Block Island off Newport, Rhode Island. The vessel had suffered water ingress and the two crew requested assistance. 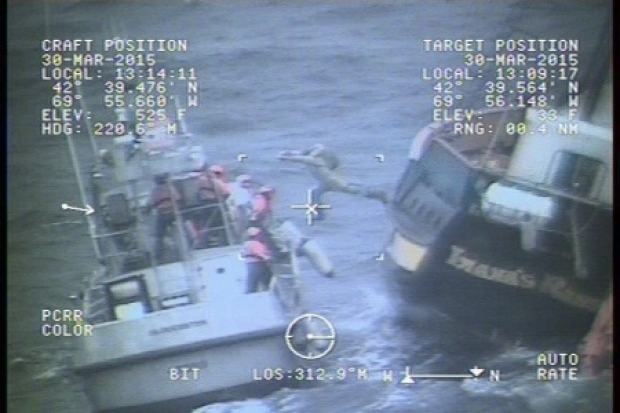 The Coast Guard dispatched a helicopter and two 45-foot response boats to the scene. The response boat arrived on scene and safely transferred the crew aboard. The Coast Guard placed dewatering pumps on to the More Misery and safely towed the fishing vessel to Newport. No reports of injuries, damage or pollution released.